We're really sorry, it appears this offer isn't currently available, most likely the product is currently out of stock. Can you tell me if this would be suitable to use on a nappy changing mat? This product would be suitable, it kills 99.999% of bacteria within 5 minutes as is BS EN 1276 compliant. This product should be diluted using a 15ml pump into a 750ml trigger spray with water. This is designed for use in washrooms, so yes, this can be used to clean floors. Although, I would not recommend using this in the Kitchen. I would suggest using 61225 - Kitchen Cleaner and Sanitiser 2x5Ltr instead. 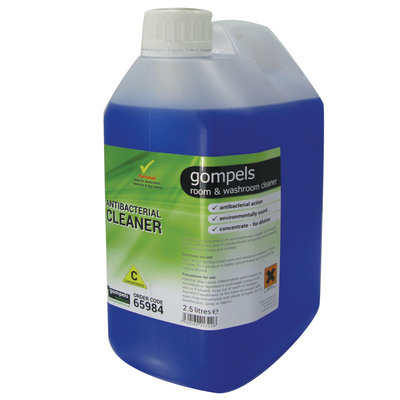 Developed in house to offer an economic alternative to traditional brands, our Gompels Concentrated Antibac Room and Washroom Cleaner has a powerful formulation. Packed with antibacterial action that cuts through dirt, grease and grime, this concentrated mixture provides exceptional results in small quantities with only 1 x 15ml shot needed per 750ml of water. When used as such, this 2.5 litre bottle has the capability to provide the equivalent of 166 ready mixed bottles of a similar cleaner. 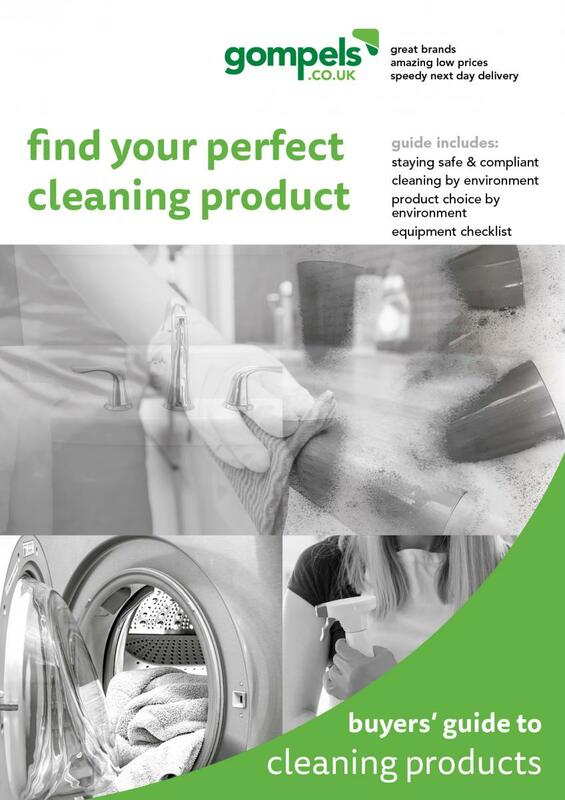 Use everywhere, including your residential washrooms, for a clean and lightly scented finish that fits in well with your cross-contamination prevention procedures. Compliant with BS EN 1276:2009, BS EN 13704:2002 and BS EN 1650:2008 (test results available upon request). For most effective use, select 'stream' function on the trigger spray. Create a cleaning station with our Metal Dispenser, and Display Board. Store this product plus our Gompels Concentrated Foodsafe Cleaner and Gompels Concentrated Floor and Hard Surface Cleaner. Distribute your larger pot of antibacterial cleaner out to all your staff and clearly identify it's location with our Labels for Antibac Room & Washroom Cleaner. We also recommend our Trigger Spray Bottle for isolated and specific cleaning.